Prior to Facebook’s recent changes, articles and posts published in this website blog where automatically shared to the T. R. Robinson Publications Facebook Profile. However, this would no longer be appropriate nor in fact, is it any longer possible (Facebook have removed the facility for third party applications to post direct to profiles). Undoubtedly, especially in view of the way the platform has been abused, everyone, or at least the majority, will agree the changes make sense particularly when the site’s ethos is taken into account. 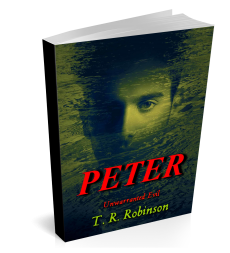 T. R. Robinson Publications look forward to sharing with you. The original Facebook Profile will, henceforth, be used by author T. R. Robinson for more ‘personal’ sharing. The revised profile url is https://facebook.com/trrobinson.memoirs It should not be necessary for users to re-engage with the profile where they are already connected.